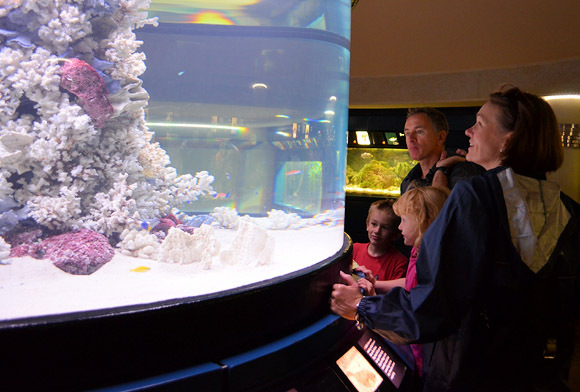 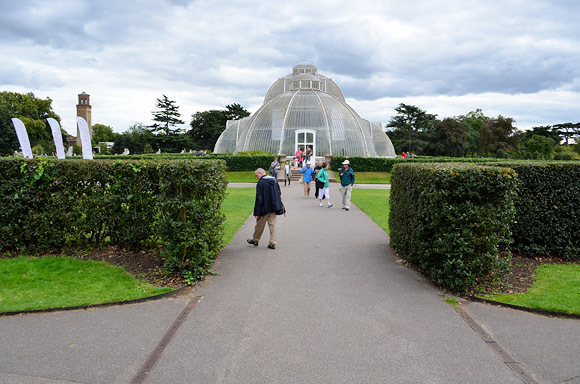 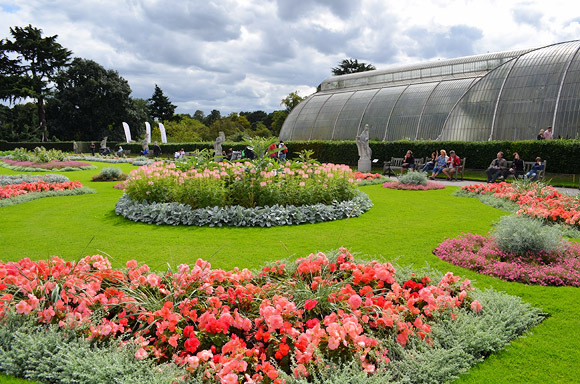 Home to the world’s largest collection of living plants, the Royal Botanic Gardens, Kew – otherwise referred to as Kew Gardens – covers 121 hectares in west London. 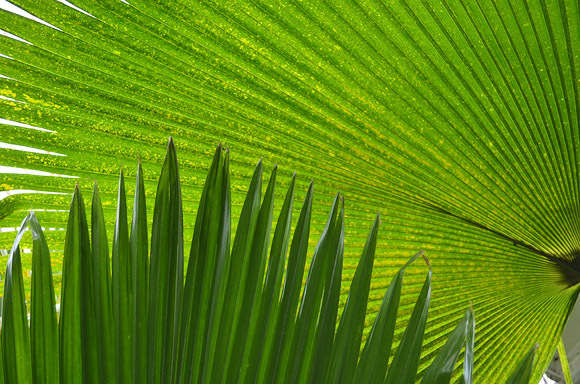 Scroll on for my photo tour! 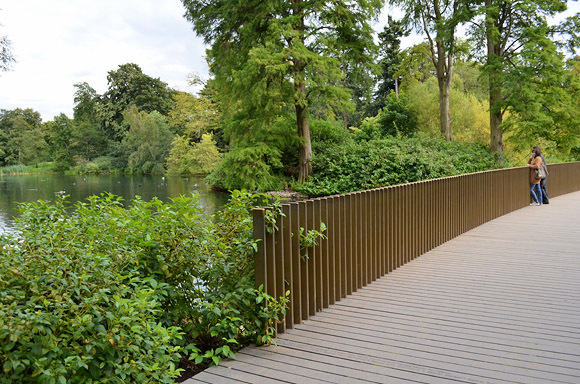 On the site can be found gardens, green spaces, botanical glasshouses, cafes and a fab treetop walk, as well as a library containing more than 750,000 volumes. 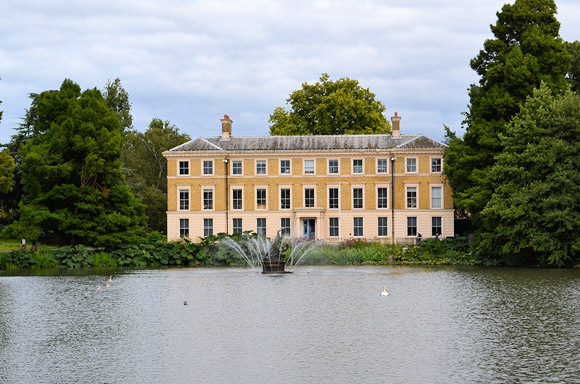 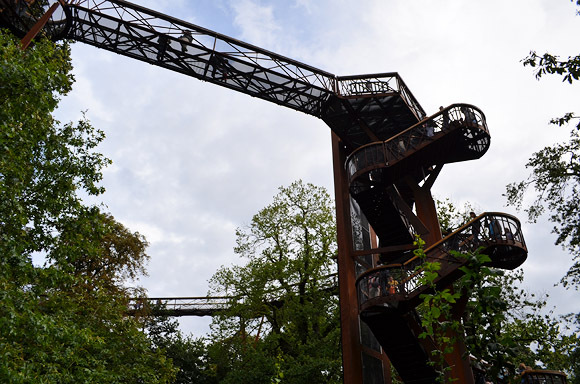 There’s no less than four Grade I listed buildings and 36 Grade II listed structures to be found around the site, with the gardens being placed on the list of World Heritage Sites by UNESCO in 2003. 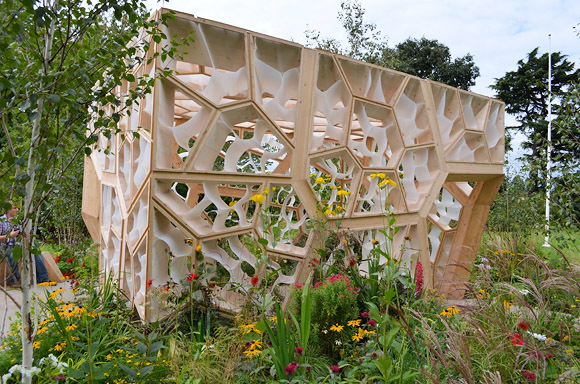 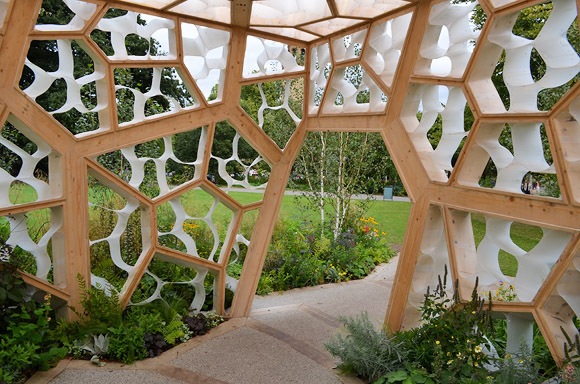 The innovative lines of the Times Eureka garden which won a silver medal at 2011’s RHS Flower Show. 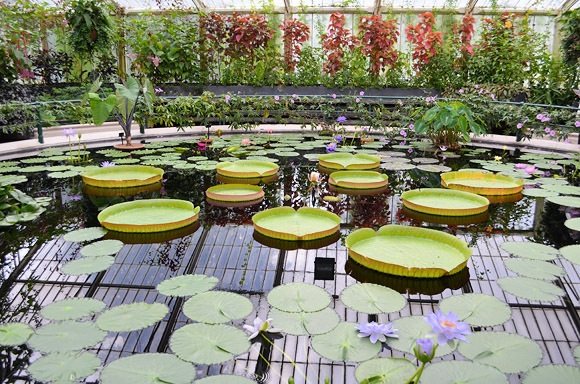 Located in front of a large lake is “Museum No. 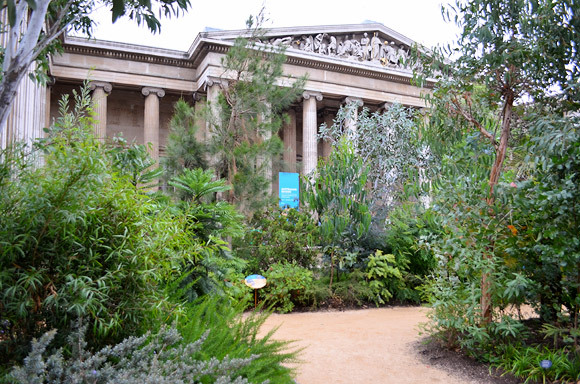 1” (curiously the only museum on the site), which was designed by Decimus Burton and opened in 1857. 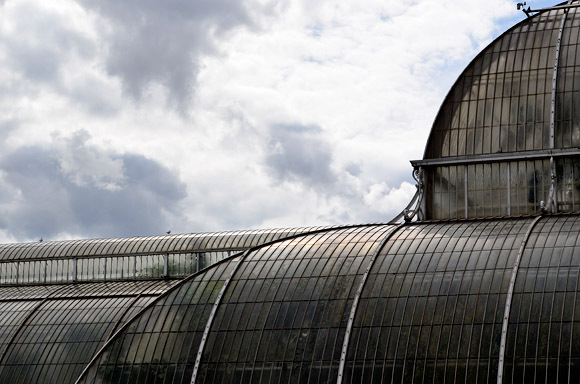 Inside can be found Kew’s economic botany collections including tools, ornaments, clothing, food and medicines. 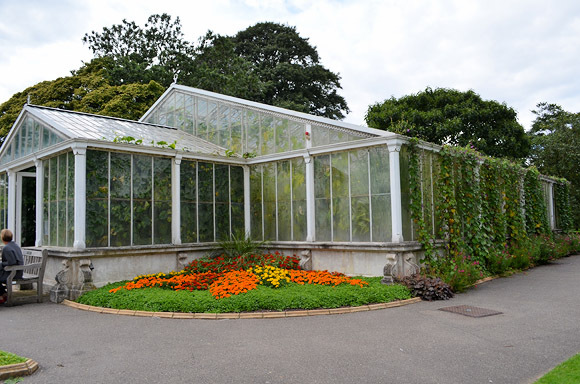 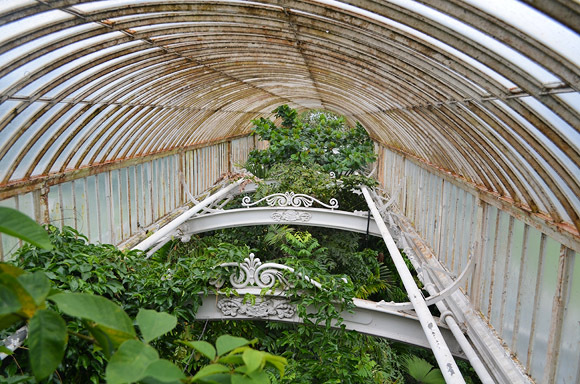 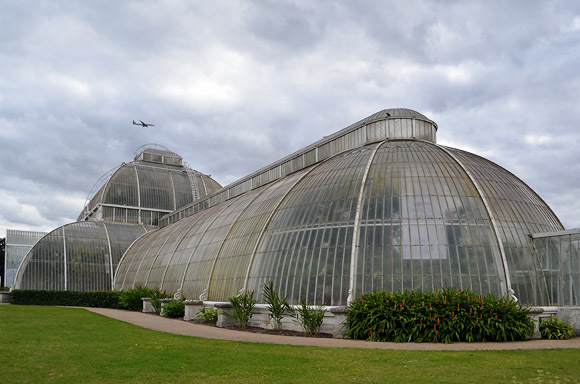 Built between 1844 and 1848, the Palm House is a stunning building created from wrought iron arches, prestressed cables and glass panes. 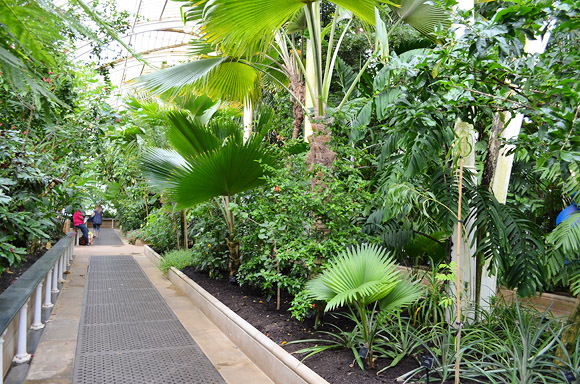 Coral display under the Palm House. 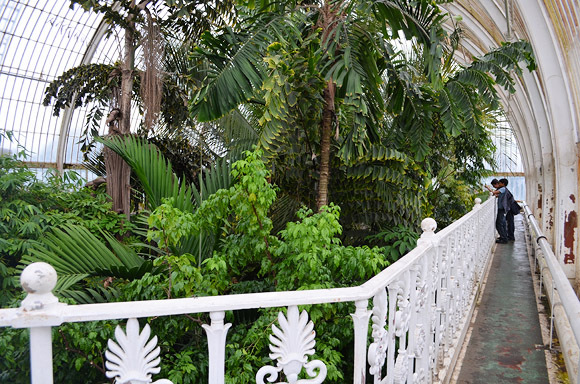 View from the 9 metre high Palm House walkway. 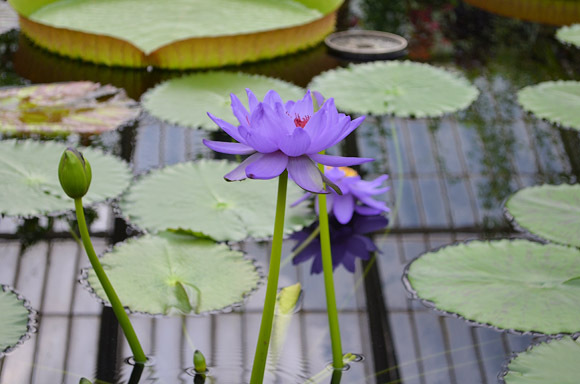 Inside the Waterlily House – the hottest and most humid of the houses at Kew. 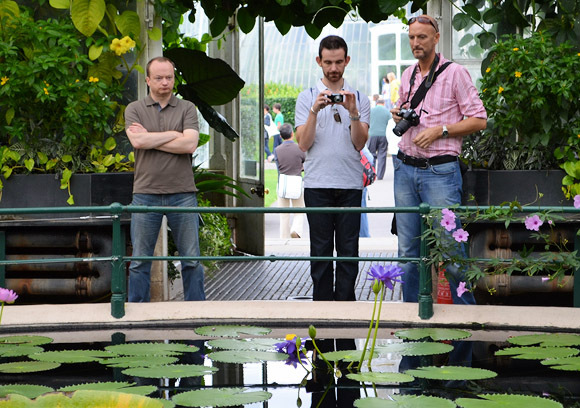 The bloke on the left didn’t seem to be enjoying the water lilies much. 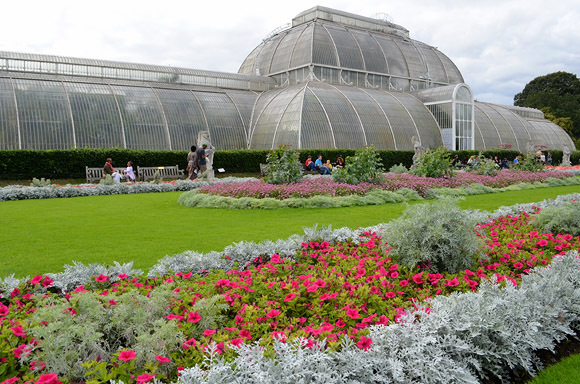 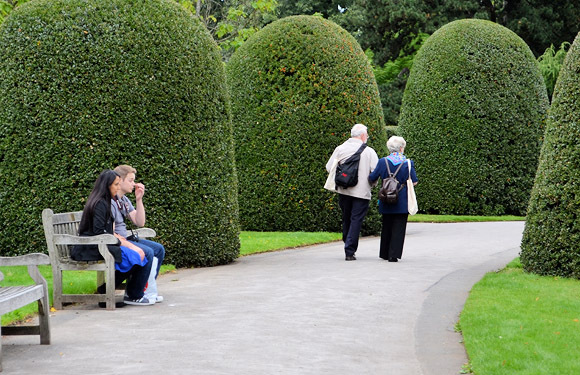 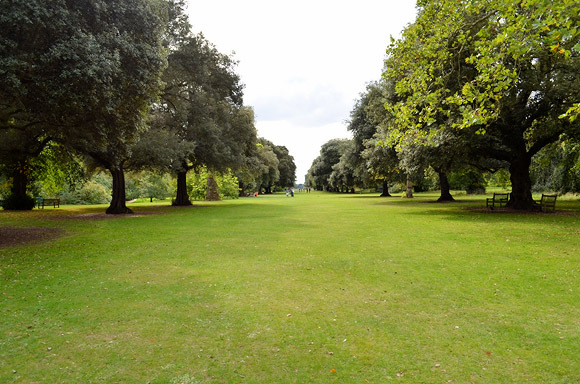 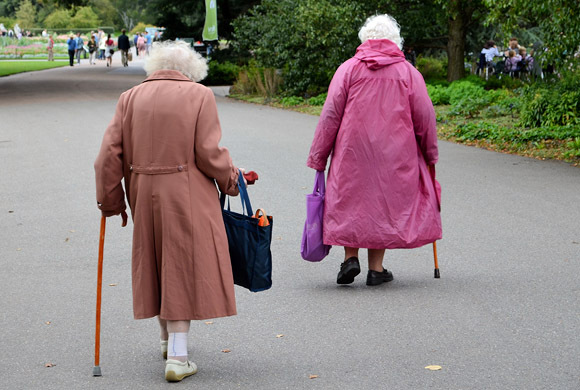 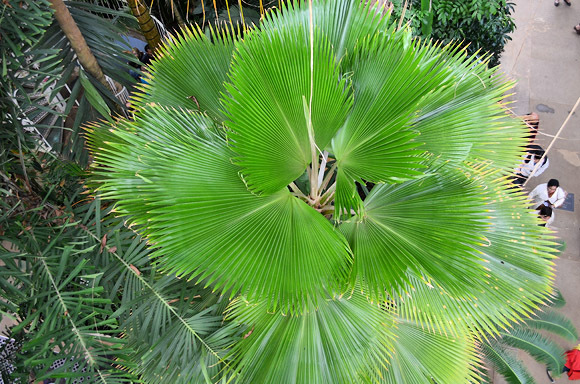 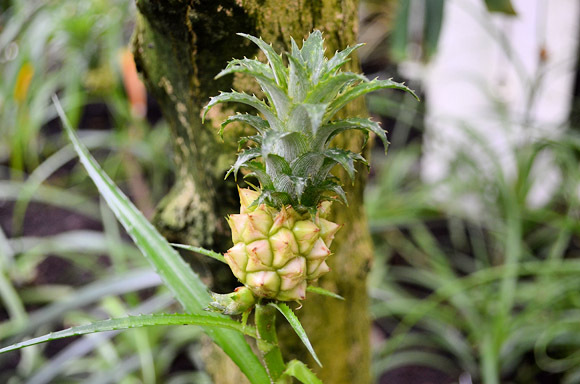 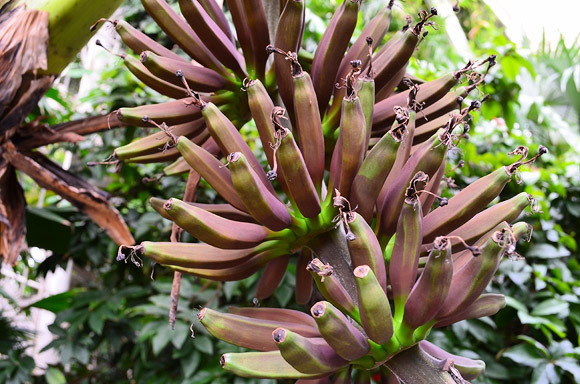 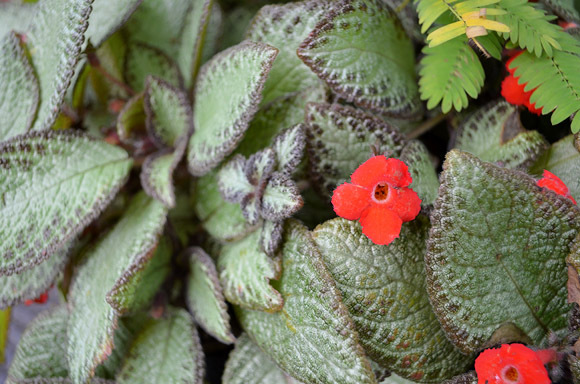 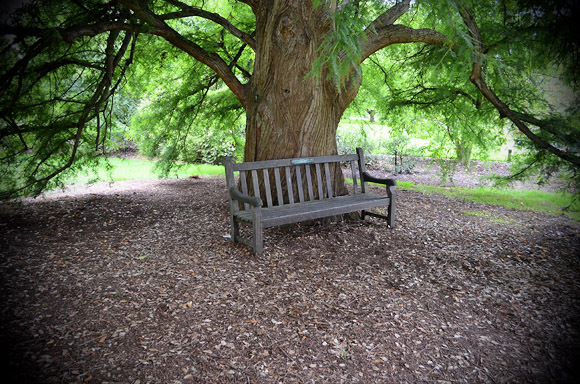 Click here for part two of Kew Gardens photo tour.